We have gifts tailored to all times of day. For early risers, try our Early Bird Breakfast Basket. 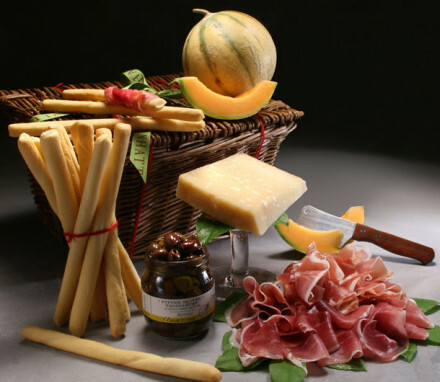 For a midday meal, see our Prosciutto & Parmigiano Basket. Looking for an appropriate dinner gift? We have a line of Mediterranean baskets that feature a balanced selection of items both healthy and delicious. And for dessert, we feature a fantastic array of concoctions baked and chocolate. Whether you seek brownies, cookies, cake or chocolates, we have gifts to suit your needs. And for those who feel the late-night snacking itch, just look to our curated selection of snack gifts guaranteed to satisfy. Mix and match as necessary.